You can use AFerry to book ferries to Japan from South Korea and Russia, between Japan's islands, as well as within Japan itself, to and from ports in Tokyo, Tokushima and Kitakyushu. Using AFerry will always get a great deal on your ferry to or in Japan. See below for timetables and the latest special offers. Booking a ferry to, from or within Japan couldn't be easier with AFerry. You can either use the booking form at the top left of the page. Japan is an archipelago of 6,852 islands. The four largest islands are Honshū, Hokkaidō, Kyūshū and Shikoku, they cover about ninety-seven percent of land area. One of the major attractions of traveling throughout Japan is trying local cuisines and traditional Japanese food. 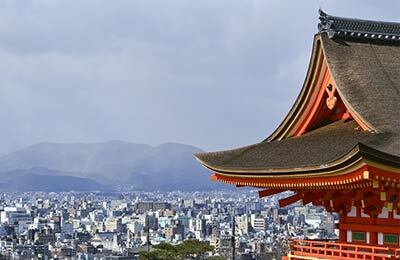 Some of Japan's most treasured ancient structures and buildings are its shrines and temples. Scattered around the country, the shrines and temples reflect true Japanese culture and heritage. If you like snowboarding, snorkeling, hiking or any outdoor activity, Japan can provide it. Hit up the slopes in Nagano (1998 Winter Olympics) or enjoy the white sands and sunny beaches in Okinawa. Japan is an archipelago of 6,852 islands.The four largest islands are Honshū, Hokkaidō, Kyūshū and Shikoku, they cover over 97 percent of the total land area of the country. Japan values its cultivated traditions and practices as much as it values keeping in touch with modern world. Whether its history or religion, Japanese customs are still widely practiced to this day. A visit to a shrine, temple, or castle would provide fantastic insight into Japan's diverse history. 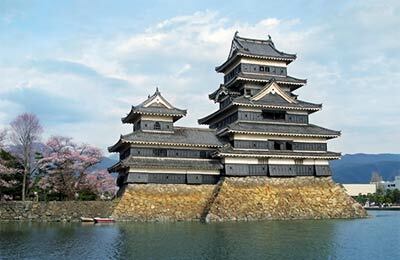 If you like adventure, Japan offers Hiking, Snorkling, Snow Boarding and all sorts of outdoor activities. Japan offers one of the best transport systems in the world, and getting around is usually a breeze, with the train being the most popular option. Although traveling around Japan is expensive when compared to other Asian countries, there are a variety of passes that can be used to travel cheaper. Moving away from trains and buses, there is of course the option of using taxis or if you are a biker, Japan has many great opportunities, bike rentals can be found throughout the country, especially near popular routes. Japan has a lot to offer from its ancient buildings to the modern works of art. Ancient castles can be visited, some of them have to reconstructed to their original condition. Japan is also famous for its gardens with their unique aesthetics and beautiful landscape. Spiritual and World War II sites are also worth exploring. The three must-visit places for World War II buffs are Hiroshima, Nagasaki, and the capital of Okinawa, Naha. AFerry.co.uk offers the best way to find the cheapest ferry routes to Japan with its easy to use booking form. Begin your holiday on a ferry and start relaxing straight away! I really like the friendliness from the staffs. It was clean and safety. I have a chance to make some new friends on the boat also. It was a great thing to try for your trip.